What services are provided by Claddagh Home Care? Claddagh Home Care provides Hourly and Live-In Home Health Care by New Jersey Certified Home Health Aides. Claddagh Home Care also offers Geriatric Care Management services. 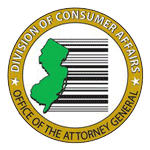 What can a New Jersey Certified Home Health Aide provide in terms of care? Depending on the individual circumstances and needs of our clients, we can provide personal hygiene care, meal preparation, light housekeeping, laundry services, companionship, exercise therapy, medication assistance, transportation, and other services. What kind of training do your Home Health Aides have? 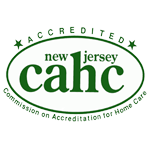 All Claddagh Home Care Home Health Aides are certified with the New Jersey Board of Nursing. To receive certification they must complete a specifically designed program that includes both classroom and clinical instruction. The program provides them with the knowledge and skills to provide home care. Are criminal background checks completed? Yes, the New Jersey Board of Nursing requires that all Home Health Aides have finger printing and criminal background checks done prior to being issued a license. The criminal background checks are performed when the licenses are up for renewal. Are your Home Health Aides insured? Yes, all our Home Health Aides are covered with liability insurance, worker’s compensation and are bonded through Claddagh Home Care. What is the first step when requesting a Home Health Aide? A Registered Nurse will conduct an assessment to determine the needs of each client and develop a plan of care. What is the family required to provide to a live-in caregiver? A room to sleep in, eight hours of sleep, and three meals a day. What happens when our live-in caregiver needs time off? The Home Health Aide will notify the RN supervisor of days they need off in advance so an appropriate replacement can be provided for you. How frequently are the Home Health Aides supervised by Registered Nurses? We schedule nurses’ visits to meet the needs of each individual as well as to provide that personal touch and attention they deserve. A Registered Nurse will visit your loved one far more often than the industry norm (which is every 60 days) at no extra cost to our clients. Can Home Health Aides give medications? Aides are not permitted to dispense medications directly from medication bottles. However, if necessary, the RN can pre-dispense the medication weekly or bi-weekly into a pill container, and the aide can ensure the client receives the medication at the scheduled times. A Registered Nurse specializing in geriatric care provides hands on assistance with the challenges of aging. The nurse will first conduct an assessment of your individual situation and then apply their knowledge and skill to help lay-out the various options on a variety of topics. 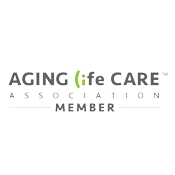 Geriatric Care Managers can help you with understanding what care options are available and appropriate, provide general financial direction, act as a liaison to families at a distance, oversee weekly medication preparation, etc.